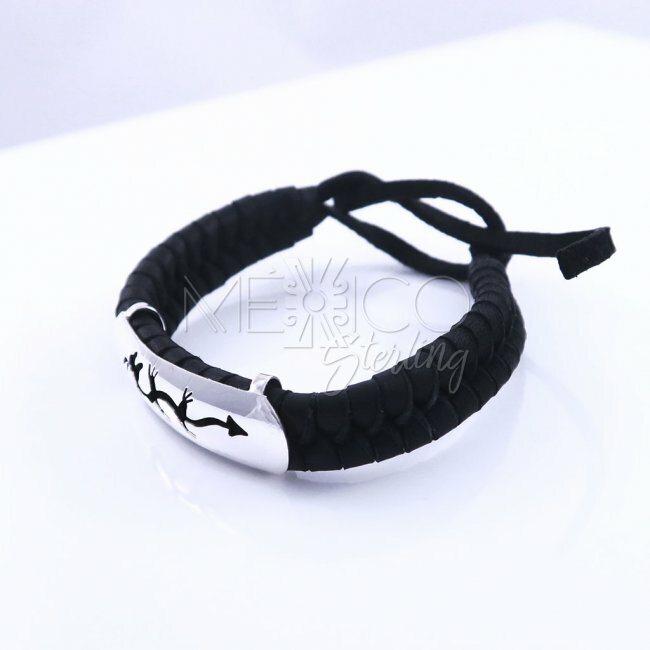 Silver and Leather Mystic Dragon Bracelet [BRC3343] - $35.00 : Mexico Sterling Silver Jewelry, Proundly from Mexico to the world. 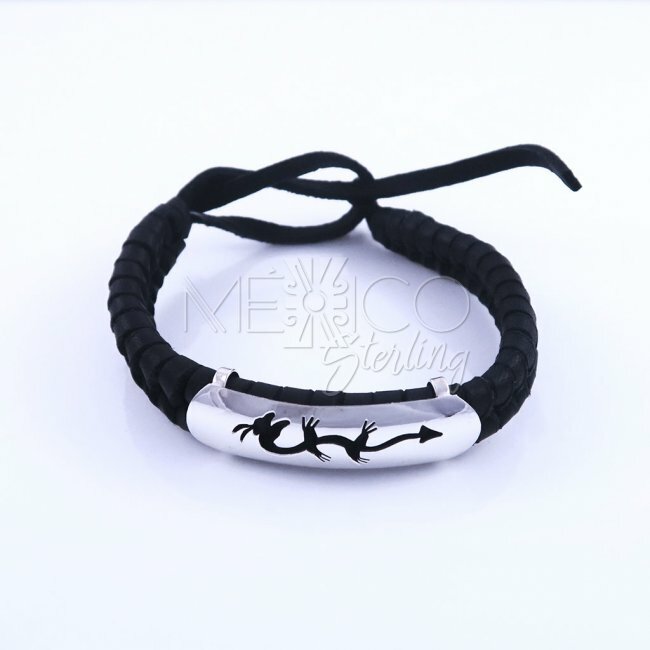 Unique Taxco silver and leather bracelet, a unisex bracelet that gives that extra interesting addition to a final casual look. It is a very simple and modest design yet very catchy to the public. 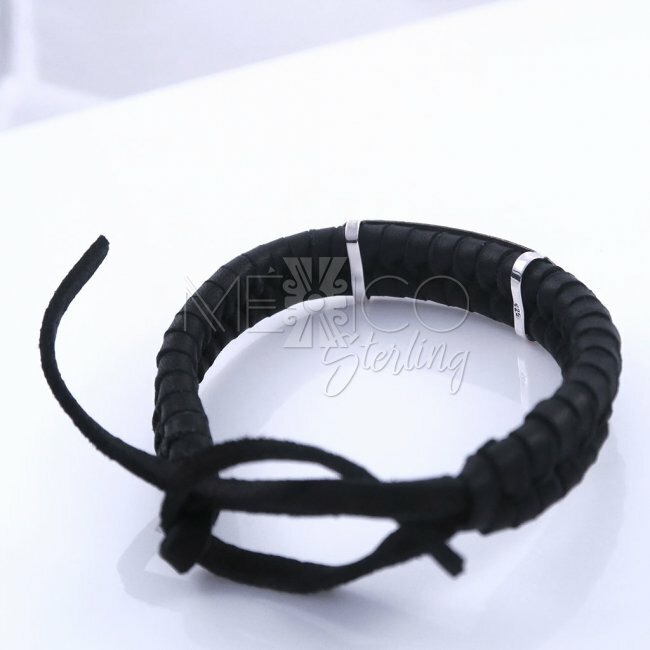 The bracelet is formed by several strings of black leather, weaved tightly, the front silver bar is what breaks with the black pattern, giving a nice contrast between the bracelet and the centerpiece. 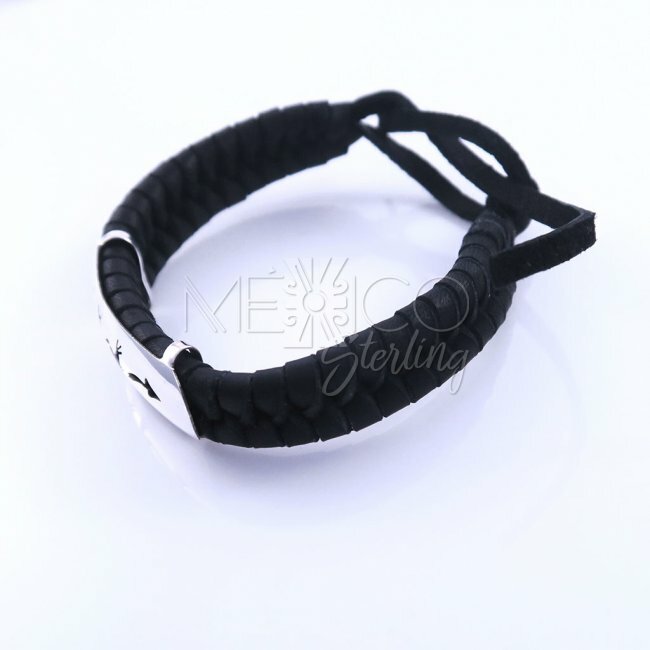 Another great feature, is the hollow shape, carved out from the silver. What I call a Mystical or Mythical dragon, beautiful shaped that carries a nice symbolism. Among animal spirits guides, the dragon is the most ancient, respected and imposing. 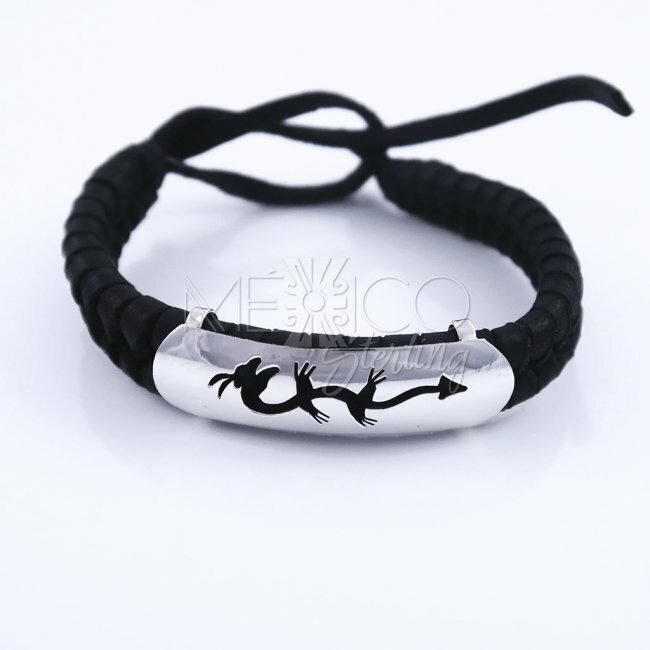 Mostly the dragon figure represents fortune, authority, growth, luck and development. 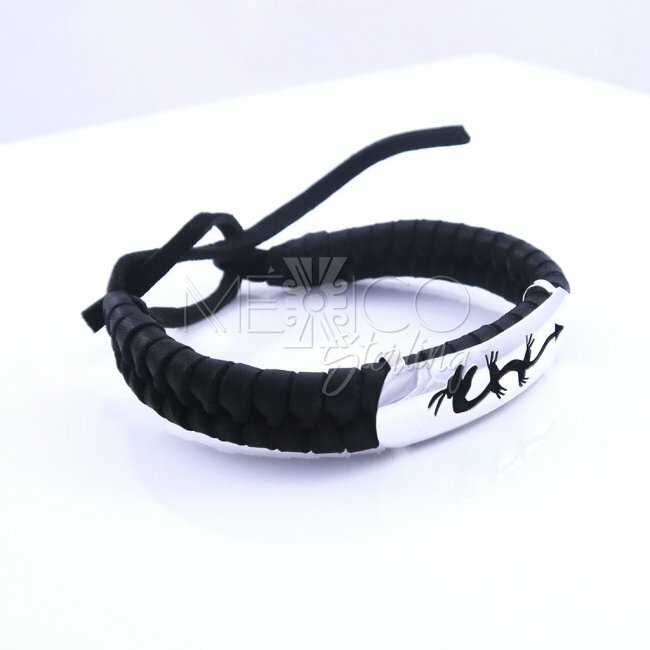 So, there you have it, this is not only a nice piece of jewelry, it also carries a very powerful meaning. 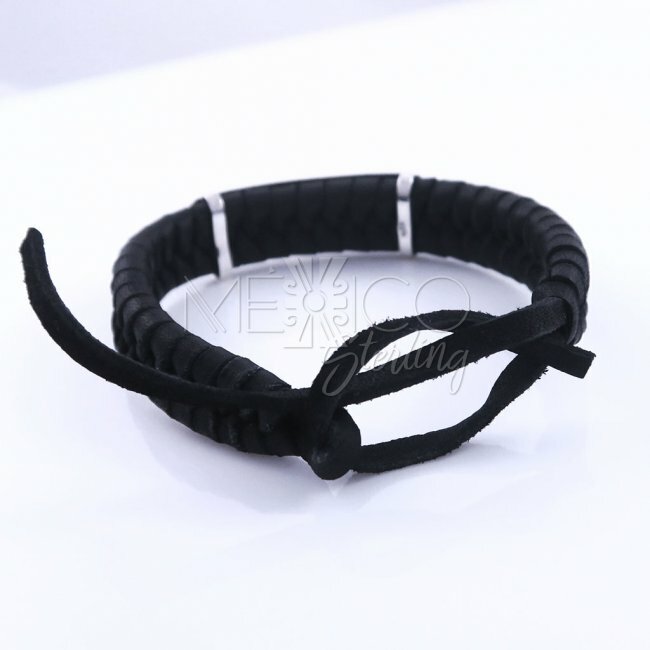 It is light in weight yet sturdy and very easy to clean.